The Perfect Chiller Set includes a hand crafted decanter, and a Chiller wand. Chills drinks to the ideal temperature in 10 minutes and keeps them chilled for up to 1 hour! Decanter boasts a drip-free pourer and stopper to keep any leftover drinks fresh. To use, simply freeze chiller wand for 3 hours. 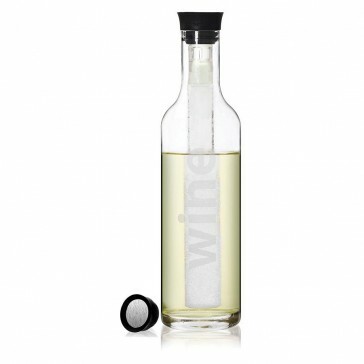 Decant full bottle of wine into the Perfect Chiller decanter. Attach wand to the bottom of the drip free pourer and insert. 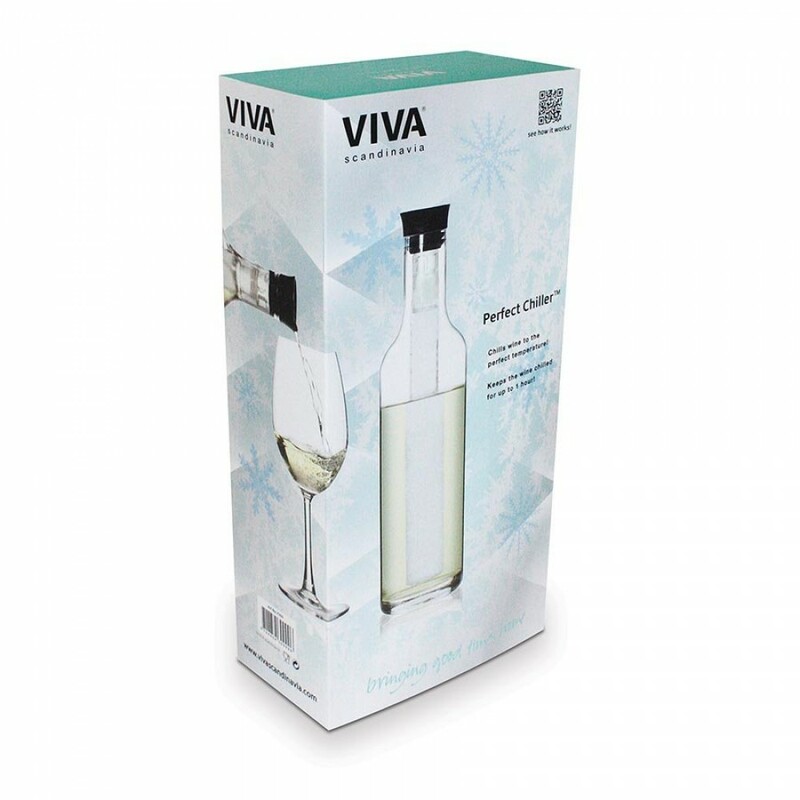 Enjoy deliciously cold wine in 10 minutes, or keep chilled wine cool for an hour. No need to remove the wand to pour. Volume: 0.9 L – holds full 750ml bottle of wine plus wand. 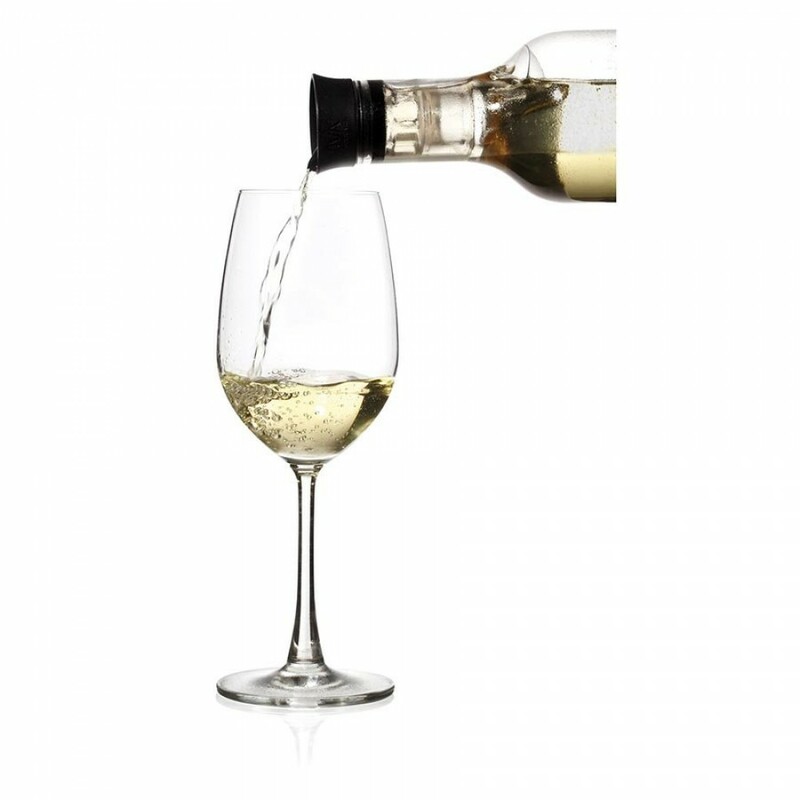 Materials; decanter: glass, drip-free pourer: silicone, stopper: silicone and stainless steel, wand: BPA-free plastic containing 100ml (3.38 oz.) food-safe gel. D. 8 cm. H. 31 cm.